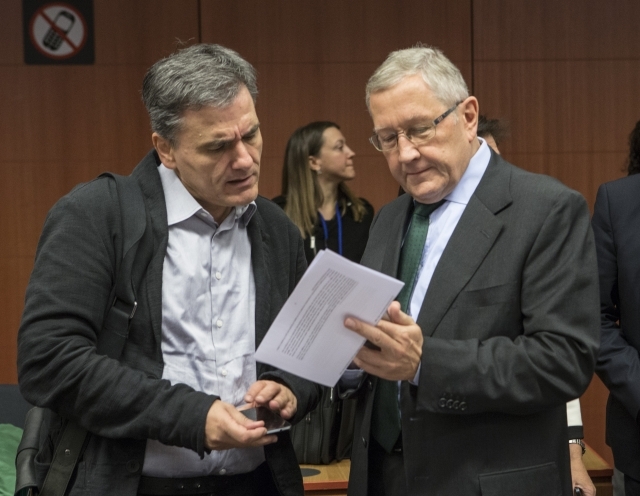 FinMin Yannis Stournaras told Reuters that “we estimate the funding gap that would be created if we get the two-year extension at €13-15bn” adding that the fiscal gap to reach its 2013-14 targets remained at €13.5bn, which most likely refers to the recently discussed cost cutting measures of €11.5bn and additional revenues of €2bn. According to Athens News Agency, Alternate FinMin Christos Staikouras said at the parliament that EU estimated in the latest debt sustainability report released in March ’12 that Greece’s borrowing needs would reach €7.6bn in 2015 and €3bn in 2016, which could be higher in case primary deficit and/or privatisation revenues were off targets. He also noted that GGBs held by the Eurosystem that mature in 2013-16 amount to €28bn and the government is considering extending their maturities (rollover), within the framework and legal restrictions of the Lisbon Treaty, to cover the anticipated funding gap. Furthermore, he stated that the additional retroactive reduction of loan agreement spread to 150bps along with the return of Eurosystem bond gains stemming from GGBs will result in a reduction of debt (as % of GDP) by 1.8pp, while Greece’s financing needs will be lowered by €1.8bn over the adjustment program period.